The ten most recent Blog posts are listed. Click on the title to be linked to the post. 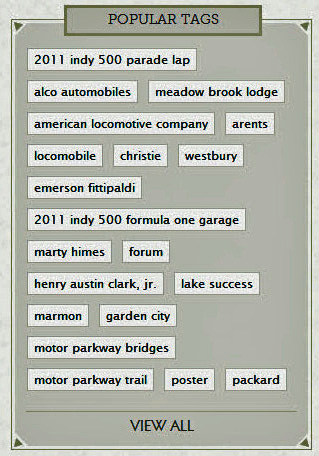 Popular tags are highlighted. 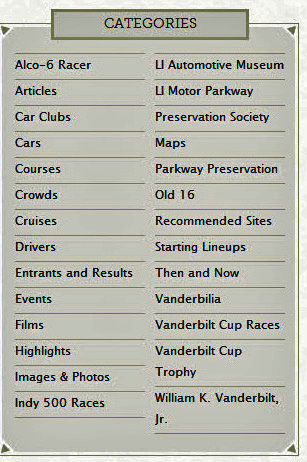 "View All" provides links to all tags currently used on the website. Every post since the website launch in March 2008 are listed in chronological order. 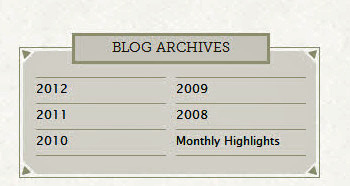 The monthly highlights posts are also archived. 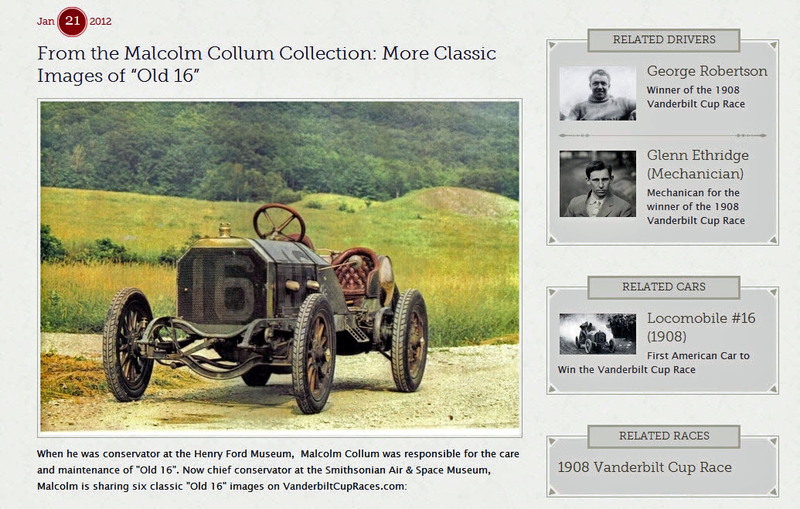 A new feature of the Blog post are linked to related drivers, cars and races. Click on the image and it will enalrge.